Watch the full episode. See more Circus. My hero and everybody's idol... Mr. Steve Smith! She was a dancer on several top TV variety programs who later came to fame with her partner in the 1970s. The pair briefly starred in their own series. Lorene Yarnell, a dancer who became half of the Shields and Yarnell comedy mime team that came to fame in the 1970s and briefly starred in their own TV variety series, has died. She was 66. Yarnell died of a brain aneurysm July 29 while watching television with her husband, Bjorn Jansson, at their home in Sandefjord, Norway, said Robert Shields, her former husband and show business partner. "I'm devastated by her death," Shields told The Times on Thursday. 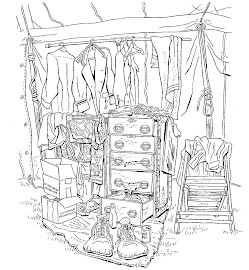 "Lorene was an incredibly gifted and magical person." The Los Angeles-born Shields, who received a scholarship to legendary mime Marcel Marceau's school in Paris in 1970, went on to become a street mime in San Francisco's Union Square, where he was known as one of the city's top tourist attractions. Yarnell, who was born in Inglewood, was a dancer on "The Carol Burnett Show," "The Dean Martin Show" and other top TV variety programs. She and Shields met when they worked on "Fol-de-Rol," a 1972 Sid and Marty Krofft TV special that marked Shields' first TV appearance. "After I met her, I went back to San Francisco, and I took her with me," Shields recalled. "It was one of those crazy things; we fell in love, and she left her [dancing] career behind." "It was destiny," Yarnell, who taught Shields to dance while he taught her mime, told the Arizona Republic in 2004. In October 1972, the two white-faced mimes donned matching bandleader costumes and were married in a pantomimed ceremony in Union Square. The wedding included fire eaters, belly dancers, snake charmers, clowns and mimes, and generated such a large crowd that the streets around the square were blocked off. After working together and separately as mimes in San Francisco — he passed the hat performing in Union Square and she did the same in Ghirardelli Square — they moved to Los Angeles in 1975 and their career took off when they became regulars on "The Mac Davis Show." A stint as regulars on CBS' "The Sonny and Cher Comedy Hour" led the network to give them their own show in 1977. A successful half-hour summer variety series, "Shields and Yarnell" was a blend of mime, dancing and comedy sketches, most famously including recurring sketches in which they played a robot couple called the Clinkers. The show returned to CBS in January 1978, but was opposite the top-rated "Laverne & Shirley" on ABC and was dropped after two months of low ratings. After their series ended, Shields and Yarnell continued to appear on TV shows and specials, as well as in commercials, and headlined in Las Vegas, Lake Tahoe, Reno and Atlantic City. Although they were divorced in the mid-1980s, they worked together on and off until 2009. The fact that they were opposites is what made their professional partnership work, Shields told the Arizona Republic in 2004. "I think of Lorene as someone like Chita Rivera, a dancer's dancer," he said. "I'm a clown. But we complement each other. Between us, we give the audience a good show." Onstage, Yarnell said in the same interview, "we're very similar people. I've always said that Robert is the artist and I'm the performer, but I have the heart of a clown in me. I'm a very silly, funny person. It's work for me, though, hard work. Robert, that amazing man, just gets up and does it. After all these years, I'm still in awe." Born March 21, 1944, Yarnell began studying dance when she was 4 and was already established as a dancer by the time she was 15. Gene Kelly once described her tap dancing as "flawless." "She could tap dance like nobody's business," Shields said. "Besides that, she was incredibly funny. She was a mime, yes, but a great clown. Look on YouTube and you'll be amazed." Shields, who lives in Sedona, Ariz., has a second career as a painter, sculptor and jewelry designer but continues to perform. Yarnell, who turned up in Mel Brooks' 1987 comedy "Spaceballs" — she was the robot Dot Matrix, whose voice was supplied by Joan Rivers — owned a dance studio in Sandefjord, Norway, where she taught jazz, tap and ballet. In addition to Jansson, her fourth husband, she is survived by her brother, Richard. Her brother Bruce Yarnell, a veteran of Broadway musicals who also sang with the San Francisco Opera, died in 1973 when the single-engine plane he was piloting crashed near Gorman. 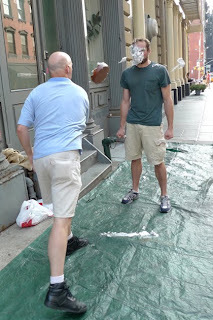 Please click the title of this post to read the Tribeca Citizen article on one of our modern American masters in the ancient and honorable art of pie throwing, Mr. Jason T. Stewart, "slinging the soap" at the NY Goofs Ultimate Clown School in New York. Wanna get to Carnegie Hall? Got 10,000 hours? ...once you have enough ability to get into a top music school, the thing that distinguishes one performer from another is how hard he or she works. That's it. What's more, the people at the very top don't just work much harder than everyone else. They work much, much harder. "In study after study, of composers, basketball players, fiction writers, ice-skaters, concert pianists, chess players, master criminals... this number comes up again and again. Ten thousand hours is equivalent to roughly three hours a day, or 20 hours a week, of practice over 10 years... No one has yet found a case in which true world-class expertise was accomplished in less time. It seems that it takes the brain this long to assimilate all that it needs to know to achieve true mastery." Gladwell's larger point in the book seems to be that we tend to attribute the success of extraordinary people to their exceptional intelligence and gifts. But there are a world of additional forces, opportunities, and happenstances -- many beyond their control and ours -- that foster that success. Of course, the trouble with outliers is that they are outliers. When we observe and analyze those who have risen to extraordinary heights, we tend to miss the thousands or millions who had similar circumstances and talents but did not rise so far (or vanished entirely). Just because highly effective people share seven habits, does not mean those seven habits lead to being highly effective. New York City’s employment market has some way to go before it fully thaws, but at least the circus is hiring. Ringling Bros. and Barnum & Bailey Circus held clown auditions last Friday under the big top at Coney Island. Applicants were asked to take part in a movement workshop and to perform individual shows in front of a panel of talent scouts. About 17 applicants showed, from a variety of clowning backgrounds. 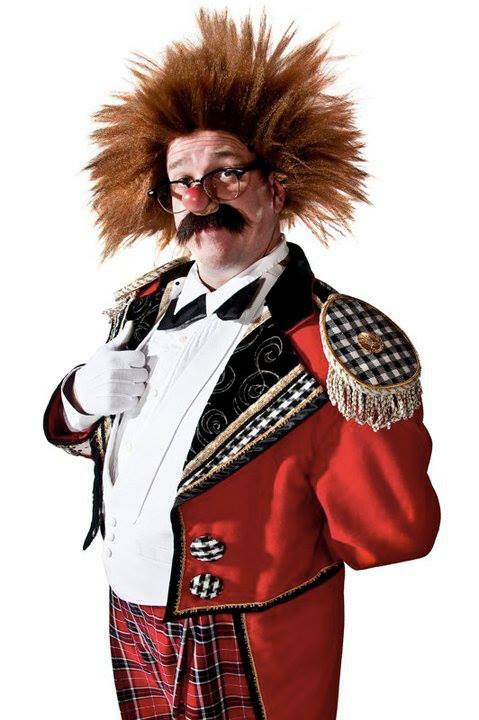 There were clowns who work at theme parks and clowns who perform in small community shows. Some brought stilts, prop cameras, and juggling sticks, but no big shoes or funny wigs — the circus requested that applicants show up in street clothes and without any makeup. “Not only are we looking for people to be funny, but we’re looking to understand people’s natural personality,” explained Nicole Feld, the producer for Ringling Bros. Applicants who make the cut get a yearlong contract that includes a salary, housing and medical care. They begin as apprentice clowns; in circus-speak, contract clowns are called a “first-of-Mays”, though contracts are now initiated on a rolling basis. Ringling Bros. offers a handful of these contracts annually, often between two and ten per year, according to Thom Wheaton, a veteran clown. Standing from left: Nicole Feld, David Kaser and Karen Hoyer watch clown auditions at the Ringling Bros. tent on Coney Island. Kolinda Jobst, an amateur clown traveled from Winnipeg, Canada, to New York for a chance to make it under the big top. She said that she’s wanted a career in clowning since seeing the circus as a child. Her audition began with a group movement exercise lead by Karen Hoyer, a mime instructor who has worked with the circus on and off since the early 1990s. The applicants practice miming emotions and playing games to test improv skills. Wheaton said that the movement exercise helps the judges distinguish between people who can react quickly and those who depend on a character they’ve created for themselves. The audition functions as a kind of workshop for clowning talent. 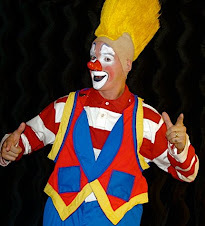 Ringling Bros. shuttered its physical clown college in 1997, in part because the company was training more clowns than they could employ. Today the company relies on the auditions and alumni to bring in new talent. Featuring the wonderful Jeff "Le Clown Gordoon" Gordon.